The elegant Piaget Polo has represented the sporty and casual side of Piaget Manufacture since 1979, when the collection was first launched. This year’s Piaget Polo models capture the essence of the Maison in 2019, injecting the collection’s recurring vitality with a pop of colour and a dash of sparkle. In 2016, the Piaget Polo debuted a refreshed look that updated its hallmark design for the new millenium. 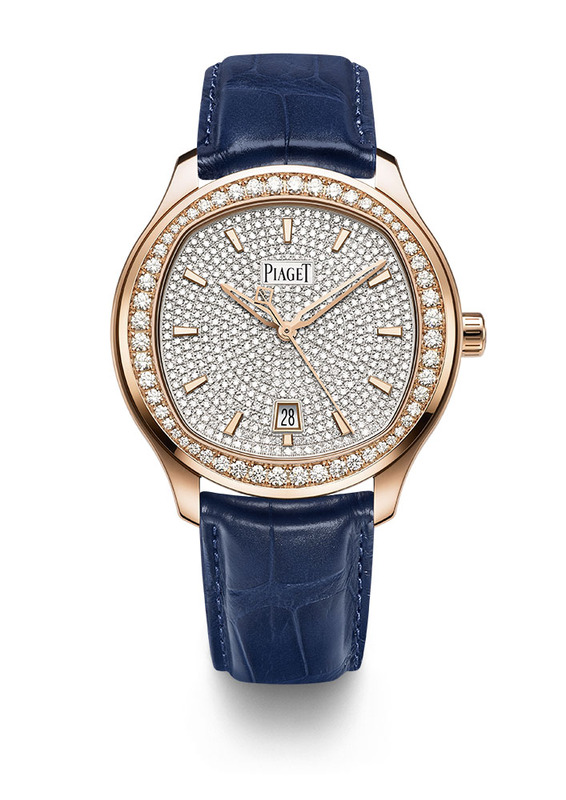 The slender proportions remained, but with a larger case size and a bezel that blended oblong and round shapes for an exuberant celebration of Piaget’s signature aesthetic. The classic faceted dauphine hands embraced a friendlier approach, trading sharp angles for softer curves. The bold horizontal dial and case godroons transitioned into dial guillochage that offered subtle texture without overpowering it. Following the popularity of the steel launch models and the acclaimed 2018 introduction of gold to the new Piaget Polo, the 2019 models confidently move the collection into other areas of the Maison’s expertise – the use of colour and gem-setting. 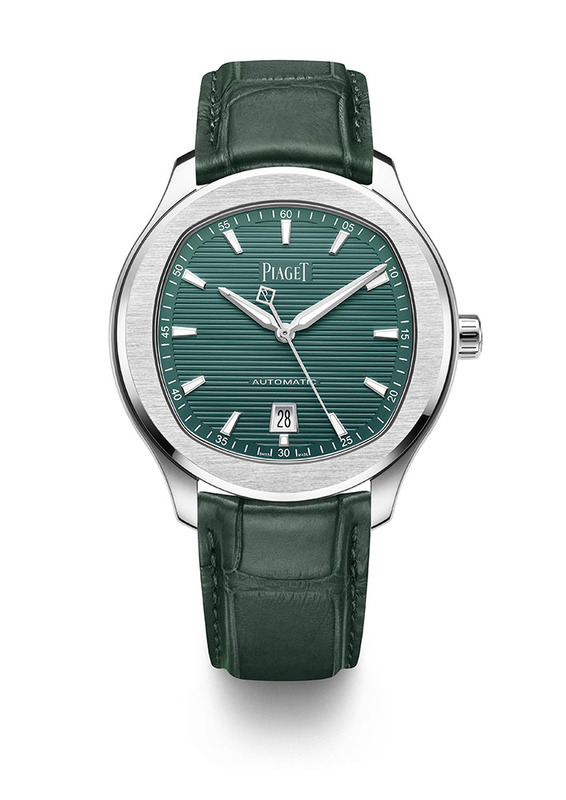 The steel 42 mm Piaget Polo comes dressed in verdant hues, with a green dial that changes in tone and intensity depending on the angle of light that hits the guilloché surface. A dark green alligator leather strap completes the tone-on-tone look. A second 42 mm model, this time in red gold, comes in two diamond-set versions. The first features a simple halo of brilliant-cut diamonds on the emblematic bezel, whilst the second is unrestrainedly spirited with a fully paved dial and bezel. These models come with two alligator straps for maximum versatility; a sober blue strap sets off the sparkle of diamonds while a deep gament strap emphasises the warmth of the red-gold case. The new Piaget Polo models of 2019 are driven by the automatic calibre 1110P of Manufacture Piaget, ensuring a high level of timekeeping performance designed for our modern times. It works at a frequency of 4 Hz and provides a power reserve of approximately 50 hours. 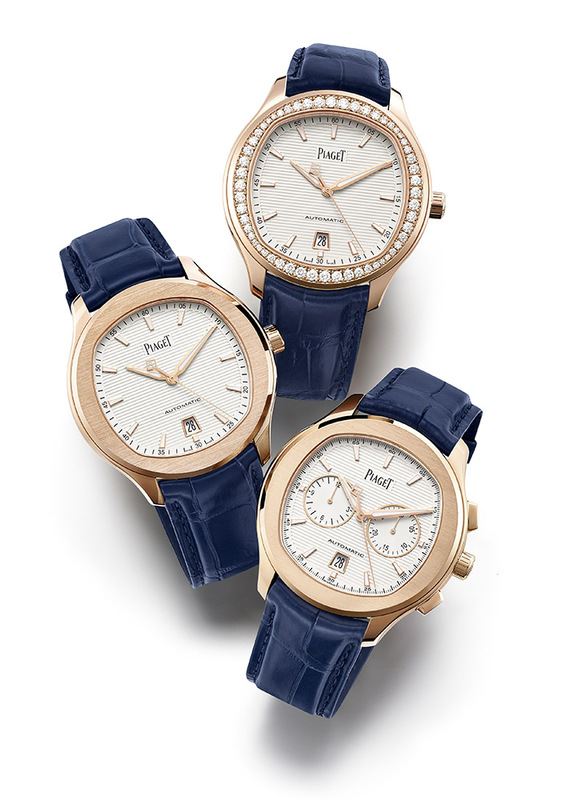 All new Piaget Polo watches show hours, minutes, seconds, as well as a date at 6 o’clock. The green model is limited to 500 pieces.